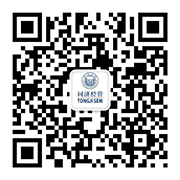 We only accommodate students who are eligible to study in Tongji, no friends or spouses from other schools. Students will be allocated into rooms only by Students center that means your room mate should be chosen by students center. All students need to bring deposit 1500 RMB plus one semester room fees(around 40 rmb per day per person), “admission notice” from school. If you would like to apply for new accommodation, please call:0086-21-65983001 International students center. Students need to apply for internet in the China Telecom company which locates in main campus. Single rooms will not be available to students, and you will have to share it with another students. Note: Possible special scholarship available if lives on campus.